Wow! Want to send a bouquet that is sure to sweep someone off their feet? Look no further! 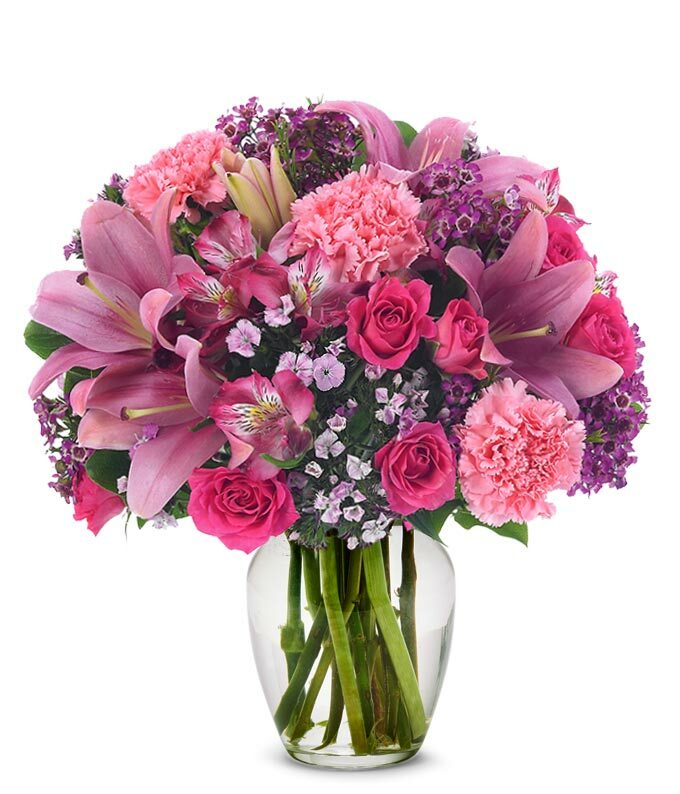 Our Pink Petals Bouquet is bursting with pretty pink carnations, hot pink roses, lively lilies, and amazing alstromeria. Even the vase glows bright pink! Send these free-flowing flowers today and they will certainly have your recipient smiling AND their heart melting! Measures 14"H by 12"L.